Ok, so yeah, I’ve been blogging about Microsoft quite a bit lately. I guess their marketing people are doing their job well, since the launch of Windows Vista is next month. Speaking of which, on December 20th I received an email from Edelman, the PR firm that is handling the launch of Windows Vista, letting me know that Microsoft is sending me a “present” in the form of a laptop with Windows Vista installed on it, “no strings attached”. I’m not sure how I was selected to be one of the people receiving this (I’m assuming there are others, but I haven’t come across any yet). It could be that they are reaching out to bloggers who are Mac users (I switched to a Mac back when OS X came out) or it might just be that people I know who work for Microsoft or other influential bloggers who recommended me. 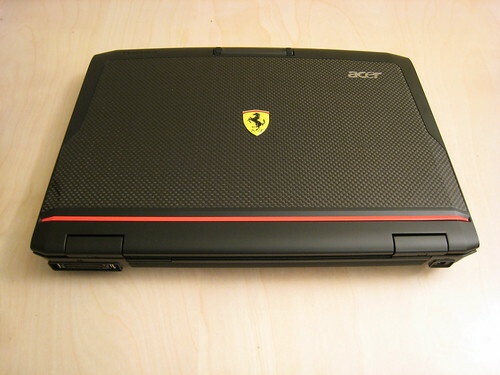 So, today the laptop arrived (here are some photos) and it wasn’t just some generic laptop, but a really cool, supercompact Acer Ferrari 1000 12.1” notebook, with an 1.80GHz AMD Turion 64×2 with 1GB of DDR2 RAM and a SATA 160GB hard drive. I assumed that they would send a fairly decent machine, since they wouldn’t want cheap hardware to make their OS look bad, but this was a nice surprise. Also, they just didn’t install the basic Windows Vista, but Windows Vista Ultimate, the top-end edition of Vista for business and entertainment users. Inside the laptop was another note from Loki, identical to the one that came with Vanishing Point Game puzzle box, so that seems to confirm that it was also related to the Windows Vista launch. One of the things I wanted to check out regarding Windows Vista is how well it would run under Parallels Desktop for Mac (my preferred way of running Windows) or Boot Camp, but it looks like I’ll have to wait for that, since Windows Vista came pre-installed on this laptop, without a separate install disk. Ok, I’ll report back later on once I’ve had a chance to setup the laptop, configure Windows Vista and play around with a it a bit. Hey, maybe Apple will send me a MacBook with Leopard for a side-by-side comparison. Yeah, right. 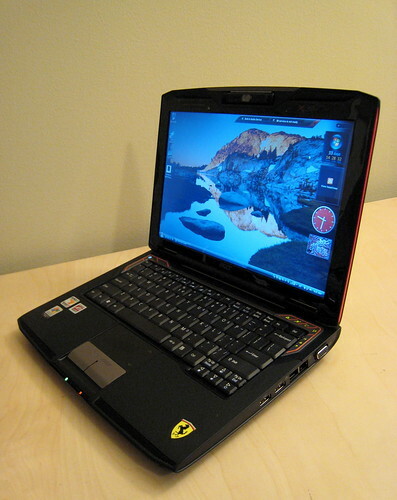 UPDATE 1: Long Zheng is reporting about other bloggers who have been receiving the Windows Vista laptops. UPDATE 2: Just to clear up a few points that are being discussed on various websites and forums, I did not request that this laptop be sent to me or sign-up in advance for it. I fact, I had no idea how or why I was chosen to receive it. I wasn’t even aware that I was going to be sent one until Edelman contacted me on December 20th. The email from Edelman said that it was a “present” and that it was being sent with “no strings attached”. I did not sign any kind of agreement to blog about it or if I blogged about it, to only write positive things. The laptop was shipped to me without any additional instructions or paperwork, except for the note from Loki regarding the Vanishing Point Game. Let me take a minute to respond to some of these comments. 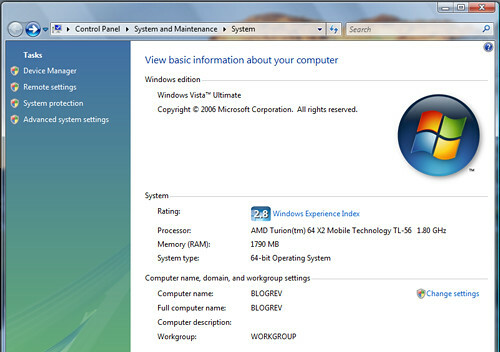 Yes, Windows Vista and AMD sent out review computers to bloggers. Why? Because we believe in the power of community, we believe in our product, and we are partnering with AMD to give bloggers the best hardware experience we can. I hope this information helps. We want to be fully transparent about what we are doing here. What’s strange about this is that he refers to the “language we used in the review outreach”. I was never sent the second part of this information where he says “Also, you are welcome to send the machine back to us after you are done playing with it, or you can give it away on your site, or you can keep it. My recommendation is that you give it away on your site.” It would have been really helpful to have had this information in advance since all along I had been planning on giving it away/donating the laptop after I was done testing it. The original email from Edelman made it seem more like a gift, which is why it think there was this big uproar about ethics and integrity. Positioning it as a review copy that can then be sent back or given away makes much more sense to me. UPDATE 5: Michael Arrington received a slightly different email about the campaign. His was sent from a Microsoft employee, not Edelman. I wonder why there was so much inconsistency regarding how the distribution of these laptops was communicated? A different approach was used with Darren Rowse of Pro Blogger, he was asked in advance if he wanted a “review machine”. I think that would have been the best approach by Microsoft for all the bloggers involved, not just Darren. UPDATE 6: See my most recent post for for the latest updates. UPDATE 7: I’ve decided to auction off the laptop on eBay and donate the proceeds to EFF. UPDATE 8: The Windows Vista laptop posts, specifically the one about the laptop auction on eBay, generated the most traffic we have ever received at laughingsquid.com. Here’s some traffic analysis I did regarding the laptop auction post. 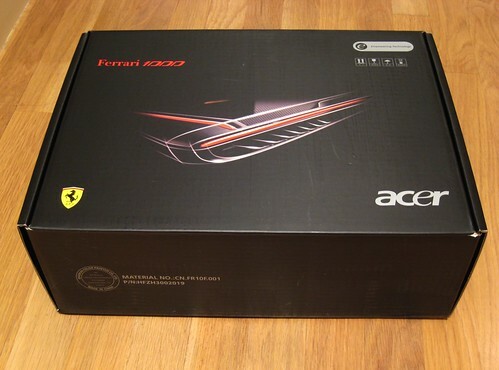 UPDATE 9: I did a follow-up post about the low Windows Experience Index score for Acer Ferrari 1000. UPDATE 10: Sheyenne York has won the laptop auction on eBay and over $3450 will be donated to EFF. UPDATE 11: For those of you who have decided not to read this blog post and are instead just asking us for a free laptop, if you actually read through this post you’ll see that Microsoft and Edelman send us the laptop. We do not have free laptops to give out. Any comment asking for a free laptop will be deleted. Please people, read before you write. UPDATE 12: Ok, it looks most people are not really reading this post, but instead just seeing “free laptop”, so I’ve closed the comments. The daily requests for a free laptop were not adding an value to the conversation.